My wife and I (Storm Cunningham) spend a month or two in Mexico every years, and have been doing so for over a quarter of a century. We love every part of this beautiful country and its generous, peaceful people. But we spend a lot of time on the Pacific coast, from Puerto Escondido, Oaxaca (where we’ll be a few weeks from now) in the south the Todos Santos, Baja California Sur in the north. 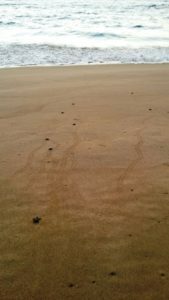 It was in the latter that we recently helped with the release of baby olive ridley sea turtles…truly a magical experience. 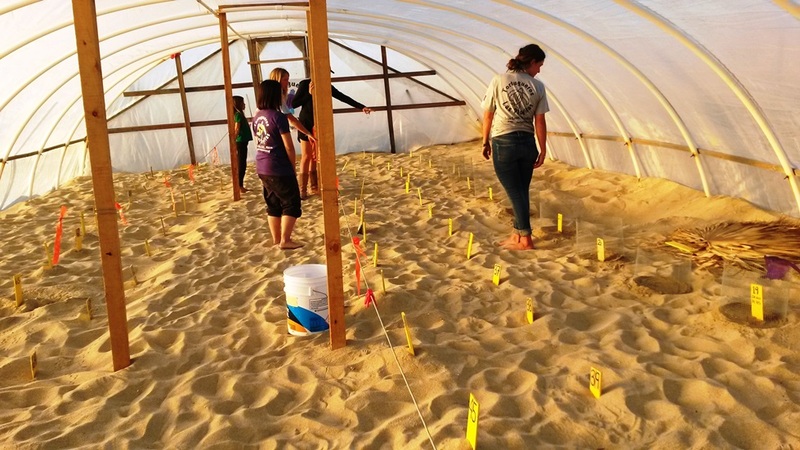 When egg nests in at-risk locations are found, volunteers all along the coast transfer them to enclosures where they can hatch in safety: dogs love to dig them up and eat them, and careless ATV drivers constantly smash them. 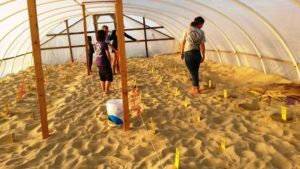 Thanks in part to public education efforts, and in part to these non-profit hatcheries, this ancient animal is making a successful comeback. “We can see that this species of turtle is on the road to recuperation,” says Angel Guillermo Gonzalez Padilla, coordinator of the Mexican environmental agency’s protection efforts. The olive ridley sea turtle (Lepidochelys olivacea), also known as the Pacific ridley sea turtle, are the smallest of all sea turtles. They are found in warm and tropical waters, primarily in the Pacific and Indian Oceans. They can also be found in the warm waters of the Atlantic Ocean. Growing to about 2 feet in length, the olive ridley gets its name from its olive-colored carapace, which is heart-shaped and rounded. Males and females grow to the same size; however, females have a slightly more rounded carapace. Related to the Kemps ridley turtle, they are best known for their unique mass nesting called arribada, where thousands of females come together on the same beach to lay eggs, most famously along Mexico’s Pacific coast. This is one of nature’s most cinematic scenes. Babies on way to ocean. 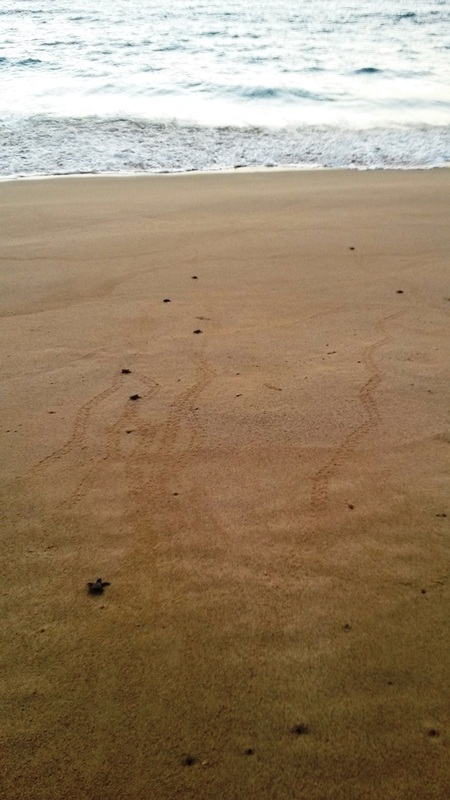 Hundreds of thousands of golfinas, as they are known in Mexico, may hit the beach during arribadas, which occur monthly between July and February. 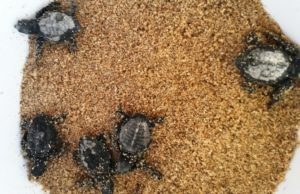 While the species still faces threats such as boat propellers, floating fishing tackle, climate change, beach erosion, plastic and other sources of pollution, biologists say the upswing in nests here is a clear sign that the reptile’s numbers are at least stabilizing, and probably increasing. Featured photo courtesy of World Wildlife Fund. See full article by Patrick J. McDonnell in the Los Angeles Times.